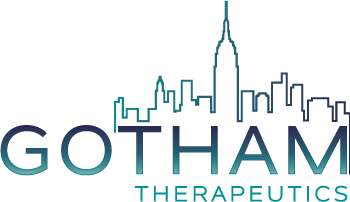 Gotham Therapeutics has established personal, long-term relationships with best-in-class CROs to complement its in-house chemistry and biology capabilities. While screening, medicinal chemistry and standard iterative compound profiling and optimization is performed by a network of high-quality CRO partners worldwide, in-depth mechanism of action studies, investigations on target engagement, and target validation is performed in the company’s NYC lab. Gotham’s team members have privileged access to the service portfolio of all CROs in its network and they share a long history of jointly-pursued successful projects. Selected Gotham employees have even been instrumental in the growth story of these CRO. Each of our CROs has leading expertise in its respective research area and provides highest quality in critical categories such as protein engineering and assay development. The CROs have been selected based on their outstanding expertise and track record in interrogating novel areas of the chemical space thereby delivering best possible chemical hit matter. For further triaging of hits, extensive biophysical capabilities developed and established at our CROs are required to unambiguously determine interaction modalities of small molecule hits with the respective targets. Whenever possible, target systems are structurally studied in solution at room temperature, to capture protein dynamics phenomena that can provide innovative design guidelines for hit-to-lead progression. Embedded in the iterative optimization campaigns, expert know how in most modern medicinal chemistry as well as biochemical profiling, cell-based mechanism-of-action assays and target engagement studies are provided by our hand-selected partners. With an increasing number of RNA modifying proteins scrutinized by the Gotham team and its network, a proprietary collection of privileged structures will be established that enables the company to accelerate the hit-to-lead and lead optimization trajectory by pursuing the target family concept taking advantage of cross-target synergies. We achieve the highest level of integration among these specialist service providers by removing unnecessary interfaces, thus accelerating data and compound exchange resulting in accelerated project progress. Building these highly integrated virtual project teams covering multiple scientific disciplines further opens up the opportunity for dynamic resource allocation as an efficient tool to de-bottleneck project progress. Applying this strategy, Gotham ensures to run drug discovery projects with highest possible operational excellence.